Medical Malpractice During Labor: What are the Signs of Negligence? 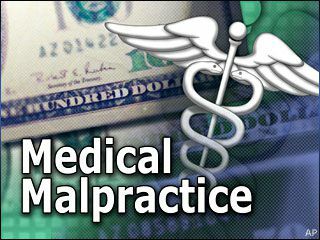 Medical malpractice can be the start of a total nightmare. Whether it be a misdiagnoses, prescription error, or mistake during surgery, your life can be very affected by the doctor’s mistake. What about when something goes wrong during the delivery of a baby? Statistics shows that six out of every 1,000 babies born in the United States suffer some form of birth injury. These injuries can range from mile to serious. • Fractured bones – The most common is a fractured collar bone, which typically heals once the baby is immobilized. • Facial paralysis – This can be caused by pressure on the baby’s face during birth or the use of forceps. Surgery may be necessary to repair damaged nerves. • Erb's palsy – This condition occurs when the group of nerves that controls hand and arm movement is damaged during birth. It often happens when the baby’s shoulders hinder its passage through the birth canal. In severe cases, surgery may be required. • Cerebral palsy – This condition can occur if a baby is deprived of oxygen during birth, resulting in brain damage. Of course, some of these injuries cannot be prevented, which does not make it the medical professional’s fault. However, those that can be prevented and are caused by the doctor are a result of medical malpractice or negligence. This can be in part by a doctor, anesthesiologist, nurse or paramedic. In May 2011, a Connecticut family was awarded $58 million after a jury ruled that their obstetrician made several errors during their son's delivery in 2003. The family's attorney argued that the baby should have been delivered two days before he actually was, when the mother's embryonic fluid experienced a significant decline. The son now suffers from a serious form of cerebral palsy and will not be able to perform many daily functions on his own throughout his entire life. The attorneys at Davis Law Group have been successfully representing victims of medical malpractice. If you believe you have been a victim of medical malpractice or negligence – do not hesitate. Call our office today at (206) 727-4000 to schedule a free, no obligation consultation.